Note: While this review will be spoiler free, it will reference previous books in the series. 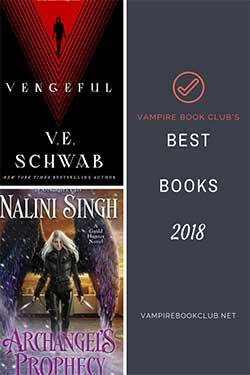 If you haven’t started this series yet, check out VBC’s review of book 1, Spider’s Bite. When a mysterious package and letter show up for Gin at the Pork Pit, memories are brought up about a job ten years ago. A job that still haunts her to this day. Gin tells Owen the story of how she really came into her own as an assassin and became The Spider. I was really skeptical upon learning that The Spider was a prequel story. 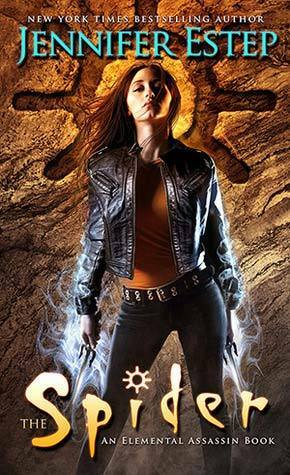 I had figured that we knew pretty much all about Gin’s past in various recollections from previous books, but Jennifer Estep does a fine job showing us a younger and more naïve Gin before she really solidified herself as an assassin to be reckoned with. Of course taking place ten years previous, Fletcher Lane is still alive and I loved seeing more of his and Gin’s interactions. Fletcher gets tagged to do the job of killing Cesar Vaughn, an owner of a construction company. An accident at one of the buildings his company built caused some casualties so it wouldn’t be remiss to assume that an angry family member put the hit on Vaughn, but something to Fletcher doesn’t feel right about the job. He’s hesitant to take it but when Gin learns that Vaughn has been abusing his daughter she won’t stand for it and convinces Fletcher killing Vaughn is the right thing to do. A problem arises during recon when Gin runs into Vaughn’s son Sebastian who begins to show an interest in Gin. Gin knows it’s not a good idea to flirt with the target’s son but she can’t seem to help herself. I liked that we got the re-emergence of villains like Mab Monroe, Tobias Dawson, and Elliott Slater. I appreciated that these dearly departed characters made cameos and I felt like their page time was rather relevant with them being the bigwigs in crime in Ashland. 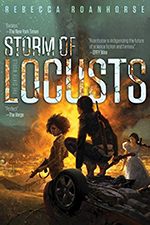 Jennifer Estep did a really good job of having them be a part of the story without them overshadowing what the story is truly about, flowing very nicely. Having everyone be some part of Gin’s recollection was a bit much. Additions like these make me feel like if Gin can bring up this information when she’s retelling a story from ten years ago then why hasn’t it been previously mentioned in the main storyline before? Besides that one minor complaint, I thoroughly enjoyed The Spider. I thought that Jennifer Estep did a great job of having a younger, more naïve, and a less patient Gin come across the page. It would have been interesting to see the story cross over into the present day a little more, but regardless it was still a good read. The Spider works very well as a standalone and if you haven’t started the series yet you could definitely pick this up and not be lost. The book doesn’t specifically lead us into the next one and I like to imagine Gin and Co. are off relaxing somewhere before Poison Promise picks up in the present day again when it releases next year.